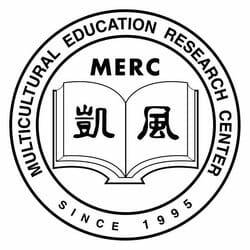 Due to a change in MERC operations, the Saturday Chinese school will not take new enrollment for the 2019-2020 school year. Hayward Kai-Feng Chinese School (凱風中文學校) has been offering Chinese and cultural enrichment programs to school-aged students (K-8th) since 1995. Our regular classes are scheduled on Saturday mornings, from 8:30 am -12:30 pm. Why parents and students choose our school? Our teachers are trained professionals and have many years of teaching experience. Choose from a full range of Saturday Chinese language classes (level C1 to C8) for children ages 5 to 18. There is a good selection of cultural enrichment programs for all ages. Classes at Kaifeng (凱風中文）Chinese School are offered on Saturday morning or Tuesday afternoon. If you live in east bay area and you're looking for a Hayward or Castro Valley Chinese school, we are your choice. Our students also come from San Lorenzo, San Leandro, Oakland, Dublin, etc. Contact us now for a free try. Chinese learning fun for students, social networking for parents. Take a look at our activity photos. Read the latest announcements and events, and follow us on our Facebook Page. I like the time and location. It's difficult to find a Chinese school that teaches traditional Chinese. I also like the website and google voice that are used to supplement the teaching. I find it innovative and impressive. I appreciate there's a school that teaches my kid Chinese in traditional stroke. I also like the diversity of kids attending and find everyone in the school very nice and supportive. Hope the school will able to maintain the attendance of the kids as I will definitely have my kid return to this school. Looking forward to returning next semester!